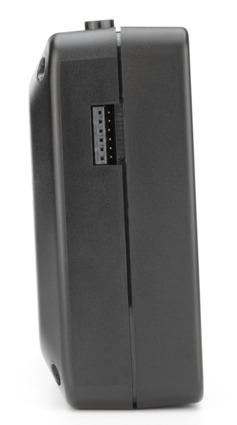 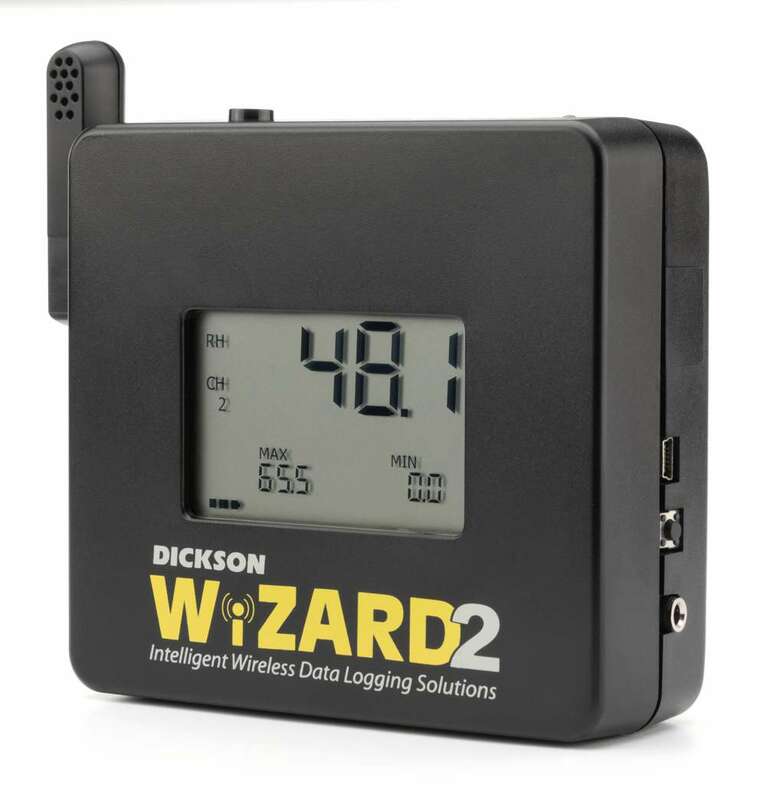 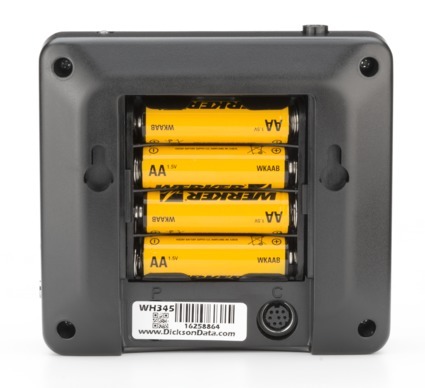 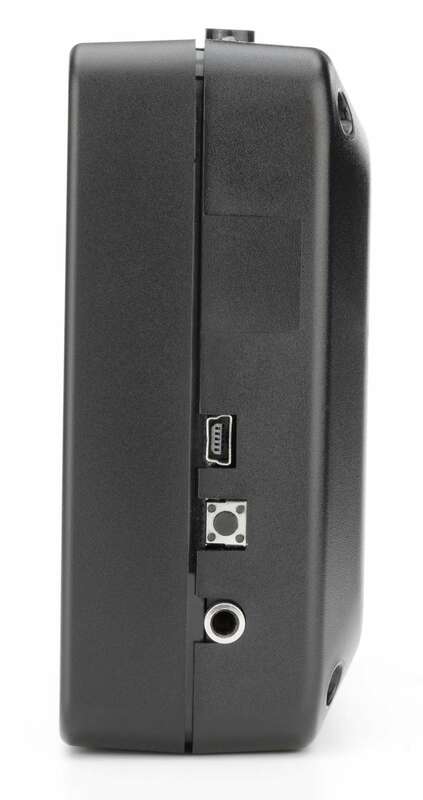 Place these on-premise data loggers throughout your facility and receive all data automatically at your PC. 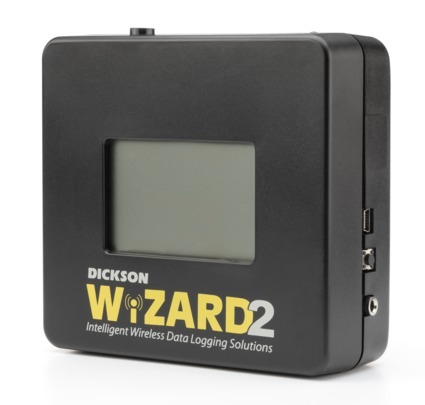 No retrieving data from loggers, no hard wiring loggers back to your PC. 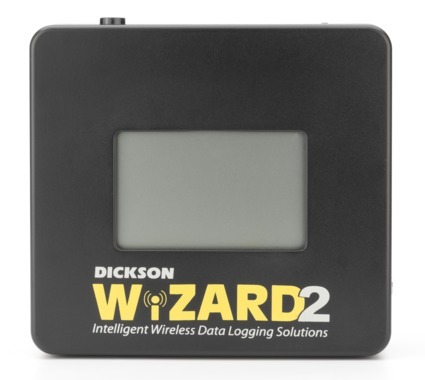 This is the easiest and most cost-effective way to create a scalable monitoring network. 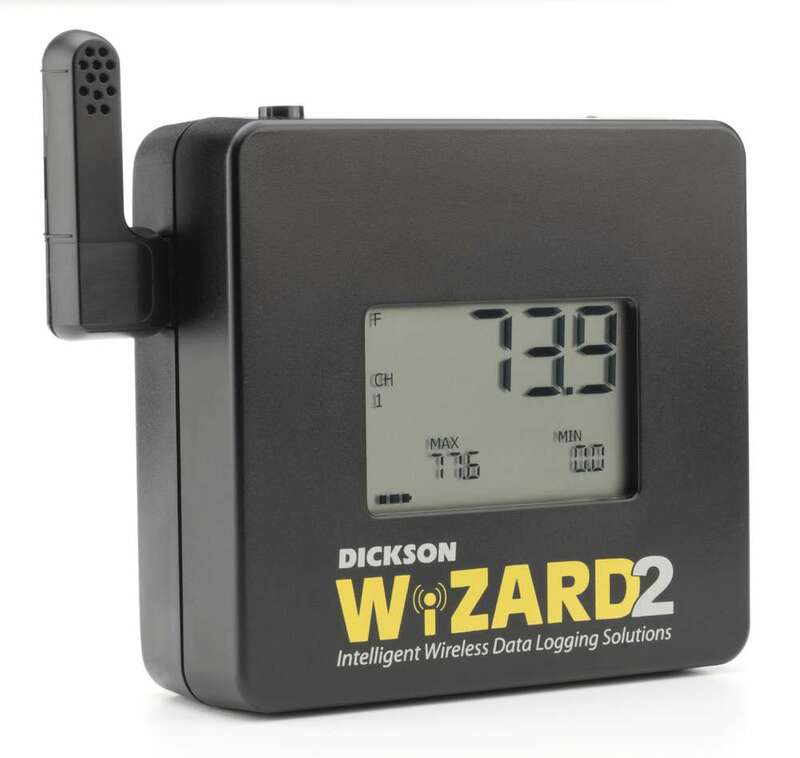 Compatible with Replaceable Sensors which make calibration easy and fast. 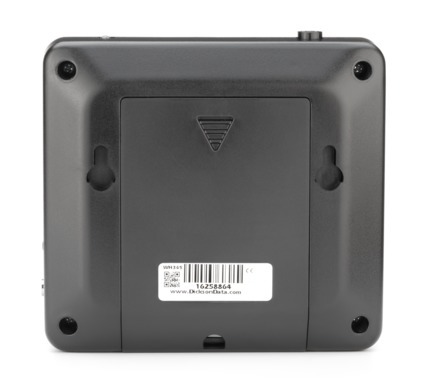 Simply order a new sensor with a calibration and you can swap out the old for the new eliminating any downtime and keeping you in compliance. Wizard products require a receiver. Note on Alarm Type All alarm conditions will generate a pop-up notification in the Dickson WiZARD Software. 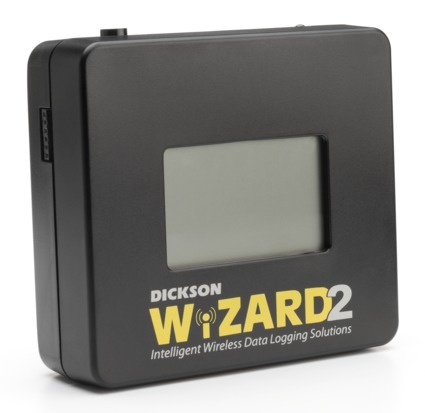 Text/Email notification available with use of WiZARD SECURE Software. Notes The WH345 Logger reads temperature and humidity and sends data back to the Receiver at regular intervals.